Trying something a little different this time for some fun and Jeep Off-Roading camaraderie. The rules are simple. Send us a story about your Jeep. It can be about your favorite off roading spot, a tough situation you got into with your Jeep, a rival between you and your significant other about your Jeep, how you came about giving your Jeep a name, modifications you have done to your Jeep, Jeep Off Roading or Off Roading clubs you belong to and something about them, or anything about your Jeep and your experience with your Jeep you care to share. Picture is optional. 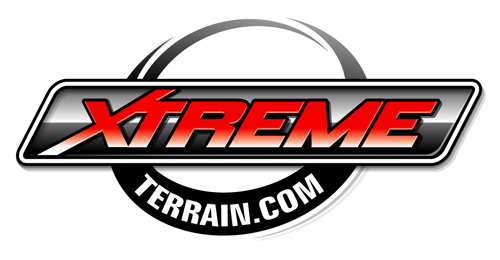 Just email your story to contest@xtremeterrain.com and you will receive an email back with a Promotional Code for free shipping off your next purchase. Put “FREE SHIPPING CONTEST” in the subject box of email. That is IT! Contest runs from April 1st thru April 15th, 2010. Oh boy, this ought to be some good reading. I bet I could come up with one or two stories of my own. I’ll have to think about which one would be better to share and get back to you. If the stories are as good as some of the pictures you ran a while back that will be something I don’t want to miss. I’ll be watching for them to start. I’m working on my story and should have it in the mail today or tomorrow at the latest. I hope you publish it, it’s really funny. I just mailed my entry and I hope it gets picked for publication. I’ll be ready for the free shipping offer too. What a great offer. I was just whining to my buddy that I never win any contests so why bother. He just laughed at me and asked me when the last time was that I entered a contest. Guess what? For the life of me I can’t remember. Just to show him, I’m going to do it.